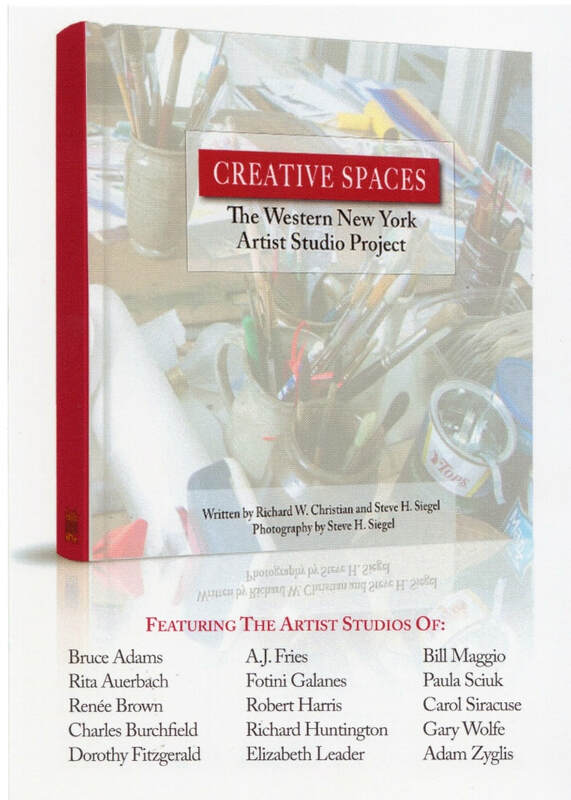 Steve Siegel and Richard Christian are pleased to announce the release of their new book, Creative Spaces - The Western New York Artist Studio Project. The book documents, in both pictures and words, the studios of 15 Western New York artists. Each artist’s chapter includes an introduction, photos of the artist's studio, an interview with the artist and a statement, written by each artist, which describes their studio and how it informs their art.